The best residential property managers know how to apply a broad skill set to the unique situations they encounter on the job. They move with ease into situations that require strong communication, negotiation, customer service, and organizational skills. Property managers also have the ability to manage more tangible property-related concerns, such as maintenance and repair issues. According to Entrepreneur Magazine, "learning how to effectively communicate with others while choosing the right words can literally make or break your growth in the marketplace." Property managers will be in regular communication with, renters, property owners, real estate agents, maintenance contractors, and others. 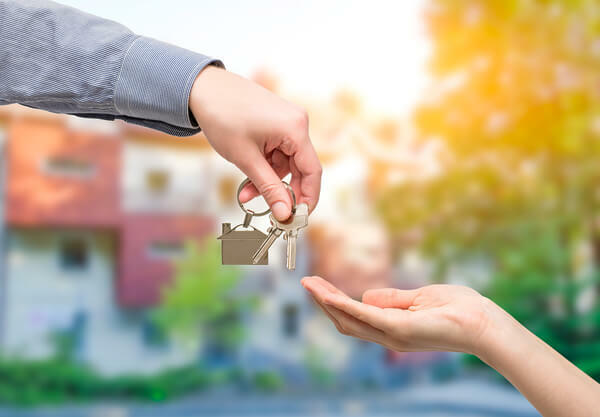 While your properties are an important part of your rental property management company's portfolio, your success in property management relies greatly on maintaining a high rental rate by attracting new tenants and retaining existing tenants. So it's the way in which you interact that will seal the deal for tenants. Respect means that you communicate clearly, you're easy to access, and when you're not available, you have processes in place that allow tenants to connect with your property management company. An online tenant portal that allows tenants to self-manage by asking questions, find information, and pay rent online at a time that is convenient for them is a communication investment that will pay off. Keeping the lines of communication open is a great skill to have and a way for a manager to build and maintain good relationships with tenants. Property managers need to have strong customer service skills backed up by effective property management systems. For tenants, excellent customer service and exceptional communication skills go hand in hand. When tenants communicate a question to a manager, they want an answer as soon as possible. Property managers must have a way of managing tenant queries and concerns for problem-solving. A tenant portal makes these questions and concerns visible to tenants. A good property manager must act. For example, if a tenant contacts the apartment manager about a possible leak in the roof of their condominium, you need to take responsibility for this complaint and treat this issue as the emergency it is and respond in a timely manner. To do this, you need a list of pre-approved contractors at the ready and a schedule that shows when your employees and those contractors are available to inspect and manage the customer's problem. Property management is extremely detail-oriented and requires a high level of organization. For example, that leaky roof might have been avoided if your property management company conducted an annual evaluation of large maintenance concerns, such as the integrity of the roof and the safety of stairs and railings. According to Inc.com, exceptional leaders are skilled in looking for patterns to improve the company's processes: "they are constantly scanning themselves, other people, and processes to identify patterns and changes in the patterns." To avoid the leaky roof, you could identify the need for a stronger management process including an ongoing maintenance schedule that involves not only yard maintenance but checking appliances, plumbing, and other common problem areas in the home. Help your managers put these systems in place with rental management software that can be used in the development of a maintenance schedule and ongoing tracking of maintenance and repairs. Most property managers are skilled in property maintenance and related tasks, but not everyone has extensive marketing experience. Marketing is also one of the responsibilities of a great property manager. Do you find it challenging to write about your properties, add that information to listing services and your website, and develop the site itself so that the listings speak to certain desired groups of tenants? Writing a great property description requires knowledge about the amenities of the property and surrounding area, as well as an understanding of how those amenities will attract a specific group of tenants. 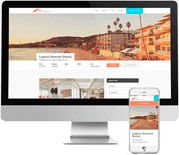 Digital property marketing assistance can help you develop a website and list your properties for rent even if you don't have a lot of skill or experience with web listings. Property managers need to have a diverse range of skills, and they must understand properties as well as people. Some property managers come from a background in customer service, while others come from a background in building maintenance. Each manager should have an understanding of how buildings work so thorough and well-documented inspections can be conducted. Managers also need to understand the typical problems of rental properties so that they can respond appropriately and rank maintenance issues according to their urgency. As a property management company, you need to support skills development in your property managers. Use exceptional rental management software from Propertyware to bring your business to the next level. Sign up for a free tour today. Rental Property Management in the Olympics?